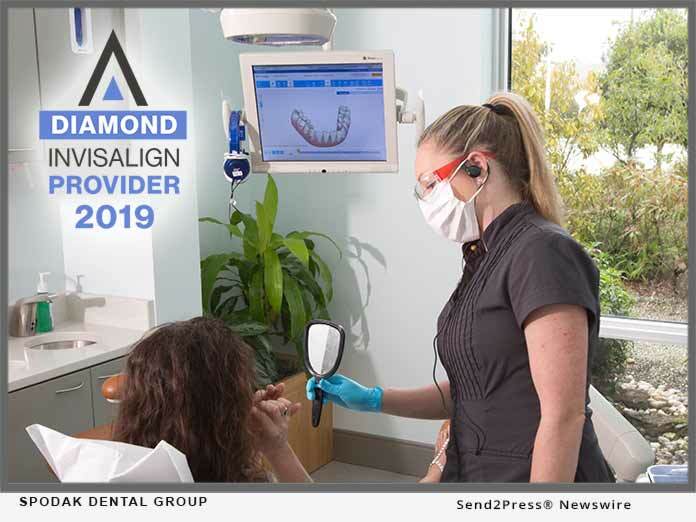 DELRAY BEACH, Fla., Jan 30, 2019 (SEND2PRESS NEWSWIRE) -- Spodak Dental Group has once again been named a VIP: Diamond Provider of Invisalign(R) for 2019, which remains to be the highest distinction in the field. VIP: Platinum Providers make up a select few of all North American Invisalign(R) Providers and are among some of the most experienced. Spodak Dental Group continues to be one of the only general dental offices to earn the VIP: Diamond status in Palm Beach, Broward and Martin Counties. The team of dentists conveniently offers current and future new patients both Invisalign(R) Adult and Teen treatments. "It is a great honor to earn the VIP: Diamond Provider distinction again," said Dr. Craig Spodak, general dentist at Spodak Dental Group. "We have seen amazing results with the Invisalign treatment and are grateful to be able to help our patients with their smile goals." A doctor's level reflects the number of individuals he/she has recently treated with the comprehensive Invisalign(R) clear aligner treatment. Doctors who have achieved the VIP status are Valued Invisalign Providers, and have chosen to specialize in using the Invisalign(R) treatment to shape their patients' smile. In addition to being a VIP: Diamond Provider, the Spodak Dental Group uses the iTero(R) Digital Scanning System to provide great quality of care and comfort for their patients. The System eliminates the need for messy putty in the patient's mouth by creating a 3-D digital impression of his/her teeth. In addition to offering a faster and more comfortable experience, the iTero(R) System is also more accurate, which results in a more precise fit for the Invisalign(R) aligners. Spodak Dental Group is currently helping patients begin their Invisalign(R) treatment for $0 down and $230 per month for 24 months, interest free. Average treatment time is 10 months for adults, which is significantly less than traditional metal braces, in addition to being less expensive than braces. Spodak Dental Group is located at 3911 W. Atlantic Ave. in Delray Beach, Fla. Please visit https://www.spodakdental.com or call (561) 498-0050 for more information or to make an appointment for a complimentary Invisalign(R) scan.